Am 24. 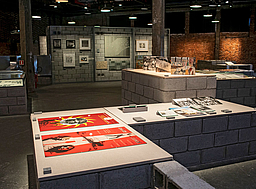 Oktober wurde in Sesc Pompeia die Ausstellungbauhaus imaginista: Learning From eröffnet. Die Schau ist eines der vier "Kapitel" des internationalen Projekts zum hundertsten Jahrestag des Bauhauses, der innovativen Schule für Architektur, Kunst und Design, die 1919 in Deutschland gegründet und 14 Jahre später durch das NS-Regime geschlossen wurde. Die Partnerschaft von Bauhaus Cooperation, Goethe-Institut und Haus der Kulturen der Welt (HKW), Berlin, umfasst verschiedene Ausstellungen, Symposien und Debatten, die seit März in Länder reisen, die von der Bauhaus-Pädagogik beeinflusst wurden, so nach Japan, China und Russland. Das Ziel ist es, den transkulturellen Austausch zwischen den verschiedenen globalen Reformbewegungen zu erforschen, die sich der Kunst als Akteurin des sozialen Wandels bedient haben. 2019 wird eine Schau aller Kunstwerke von bauhaus imaginista in Berlin gezeigt. Das Projekt wird kuratiert von Marion von Osten (Berlin) und Grant Watson (London), unterstützt durch die Forscherinnen Luiza Proença (São Paulo), Maud Houssais (Rabat), Anja Guttenberger (Berlin), Elissa Auther (New York) und Erin Alexa Freedman (New York). 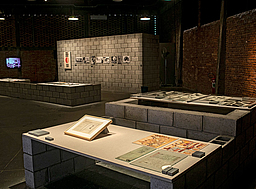 Featuring around 30 artists and 300 artworks – including ceramics, textiles, drawings, popular utensils, original books from the Bauhaus library, posters, photographs, publications, letters and videos – the Learning From “chapter” of the show enjoys the contribution of the Brazilian curator, researcher and writer Luiza Proença, whose professional career has included stints of curating for the Museu de Arte de São Paulo (Masp), the 31st Bienal de São Paulo, and projects with the Instituto Lina Bo e P. M. Bardi. Based on the artwork Carpet (1927), by Paul Klee – a small India ink drawing that evinces the artist’s interest in decorative arts and traditional popular cultures – the Brazilian show deals with the role played by cultural appropriation, both in the period of the Bauhaus itself as well as in its legacy, and investigates the relationships that Bauhaus teachers and students established with the popular and colonial handicraft and art of the countries they emigrated to. 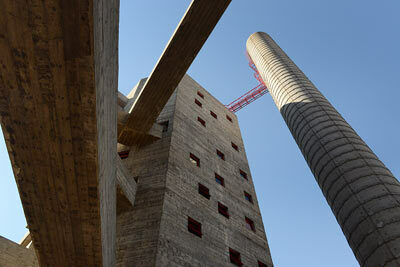 Carpet is related with the activities of the School of Fine Arts of Casablanca, in Morocco. In 1962, the country had been independent from France for only six years when the artist Farid Belkahia became the school’s director and began to overhaul the school’s teaching methods based on Bauhaus principles. The program espoused the decolonization of Moroccan culture, emphasizing the importance of the manual arts such as the jewelry, carpets and ceramics, as well as the traditional architectural practices of North Africa, including the Amazigh murals. This section features the painting in oil on cardboard from the series The Mirrors (1967), by Ahmed Cherkaoui. Interested in Islamic calligraphy, Moroccan ceramics, and Amazigh tattoos and goldworks, he became the model of an entire generation of artists in the country. 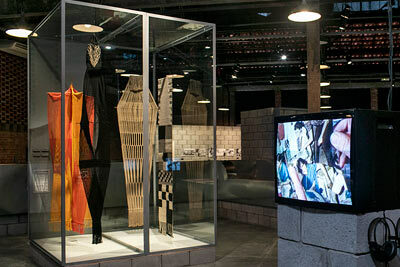 Also shown are Rhythms (1964), a watercolor on paper by Farid Belkahia, and silkscreen prints (1975) by Mohamed Melehi. In the United States, we follow the career of various artists, beginning with the Bauhaus professors Josef and Anni Albers, who were invited to teach at Black Mountain College, in North Carolina, in 1933. During the period that they were there, they went on various research trips to Cuba, Mexico, Peru and Chile, documenting and collecting works from pre-Columbian and contemporary indigenous cultures, which greatly influenced the couple’s works and teachings. 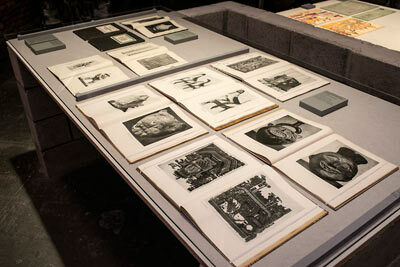 In the exhibition, we see a series of photographs (1949) by Josef Albers of terra-cotta pieces shot in a museum in Mexico City, and others that explore the geometry of blankets made by Navajo Indians, an indigenous tribe native to North America (1938) as well as the brick façade of a loggia wall (a sort of portico or gallery), inspired in ancient architectural sites (1967). Having fled from Nazi persecution, French artist and former Bauhaus student Marguerite Wildenhain took up residence at Pond Farm, a colony founded in the 1940s, in North California, which combined artistic work, education, agriculture and community life patterned after Black Mountain College. In her classes in ceramic techniques at the school, she put the intensity of her experiences at the Bauhaus into practice, making her students mold thousands of vases at the pottery wheel for them to acquire sensitivity for the clay (they were prohibited from keeping samples of their own work). 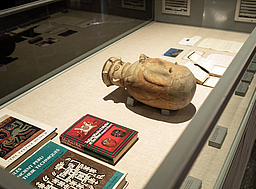 A collection of ceramics by Wildenhain, dating from between 1950 and 1970, are shown alongside drawings by her (1930-1985), along with pre-Columbian materials collected during her trips through Central and South America. North American artist Sheila Hicks, a painting student of Josef Albers at Yale School of Art, in Connecticut, traveled through Latin America to Chile, from 1957 to 1959, writing diaries, drawing, photographing architectural sites and collecting samples of fabrics, which influenced the “Faja” [Belt] works (1958) selected for the show. She also gave classes in design and colors to students of the architecture college of Universidad Católica de Santiago, and her experiences are revealed in the film Opening the Archives (1995), by Cristobal Zañartu. Incan culture was the focus of American weaver Lenore Tawney. In her work she resorted to materials such as feathers and beads, and using the Peruvian weaving technique in gauze she created Black Woven Form (1969) and Little River II (1968), with monochromatic threads and a linear structure, with a minimalist appearance. Together with the artworks, objects from the artist’s personal collection are shown, such as notes about indigenous American art, a postcard from Peru, travel drawings, photographic documentation of loom weaving, and a pre-Columbian vase. Crossing the border toward Mexico, we learn about the history of the husband and wife Hannes Meyer and Lena Bergner originally from Switzerland and Germany, respectively. After living in Germany (he, an architect, was the director of Bauhaus), the Soviet Union and Switzerland, they set up residence in Mexico City, in 1939. Meyer became a director of the department of urban planning, while Lena Bergner gave classes in weaving at various local educational institutions. 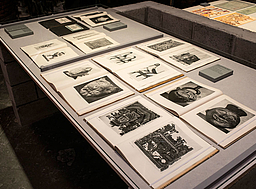 The couple opened the publishing house La Estampa Mexicana with the aim of disseminating the work of Taller de Gráfica Popular (TGP), an artist collective in support of class struggle and revolutionary social goals, producing simple linocuts and woodcuts. Upon the publishing house’s 10th anniversary, Meyer, Bergner and the graphic artists of the TGP produced a commemorative publication that detailed the collective’s work and which can be seen at Learning From. 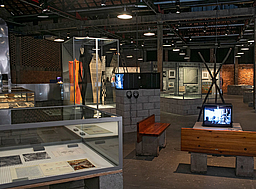 Architect Lina Bo Bardi (who designed the Sesc Pompeia architectural complex) is intrinsically linked to the exhibition. 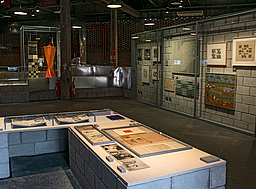 In 1951, together with Pietro Maria Bardi and Jacob Rutchi, she founded at the Museu de Arte de São Paulo (Masp) the Instituto de Arte Contemporânea (IAC), the first school of industrial design in Brazil, with a concept and activities explicitly influenced by the Bauhaus. 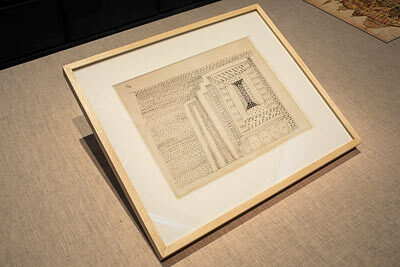 The institution’s opening was marked by an exhibition at Masp by former Bauhaus student Max Bill. Lina believed that the traditional handicrafts – understood as a form of technological innovation that had arisen from the hand of the people – should form the basis of Brazilian industrial design. She assembled a large collection of utensils from “popular culture. ” Many came from street markets, agricultural centers and indigenous and Afro-Brazilian communities, from various cities in Brazil’s Northeast, especially during the time that she was director of the Museu de Arte Moderna da Bahia. Besides a small sampling of these objects, the exhibition also features the Cadeira de beira de estrada [Roadside Chair] (1967). 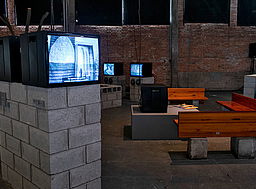 The Brazilian section also includes works by artists associated to Grupo Frente, including Lygia Pape, Lygia Clark and Hélio Oiticica, and artworks developed in the art school of the Museu de Arte Moderna of Rio de Janeiro (MAM RJ), created in 1952 under the command of Ivan Serpa. Another outstanding work is the installation created by Paulo Tavares. Des-Habitat questions the way in which art and indigenous handicrafts appeared in the modern imaginary and discourse in Habitat, a magazine of art and design created by Lina Bo Bardi in 1950. 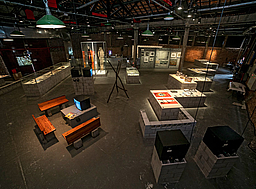 The show bauhaus imaginista: Learning From features works by the following artists: Anni Albers, Josef Albers, Artur Amora, Susie Benally, Farid Belkahia, Lena Bergner, Lina Bo Bardi, Ahmed Cherkaoui, Lygia Clark, Rogério Duarte, Saul Elkins/Morteza Rezvani, Trude Guermonprez, Abdellah Hariri, Sheila Hicks, Paul Klee, Elisa Martins da Silveira, Mohamed Melehi, Hossein Miloudi, Hannes Meyer, Sibyl Moholy-Nagy, Hélio Oiticica, Lygia Pape, Geraldo Sarno, Ivan Serpa, Paulo Tavares, Lenore Tawney, Marguerite Wildenhain, Sol Worth/John Adair, and Cristobal Zañartu. 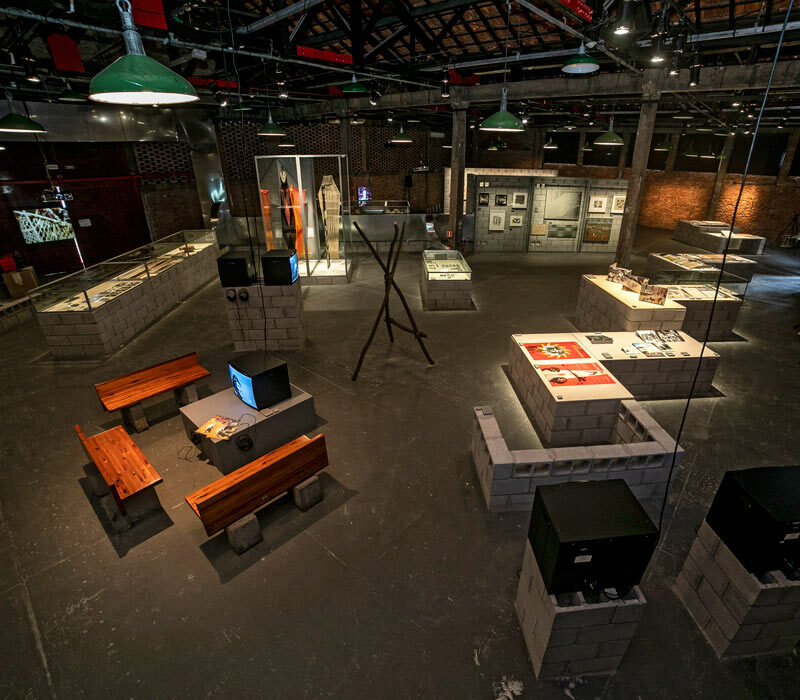 The exhibition is being held by Sesc São Paulo, in partnership with Bauhaus Kooperation Berlin Dessau Weimar, Goethe-Institut and Haus der Kulturen der Welt (HKW), Berlin. 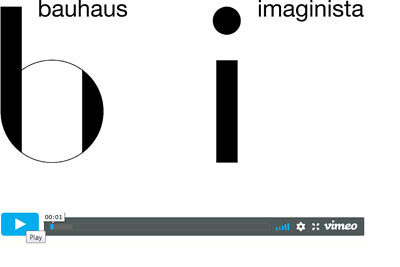 The bauhaus imaginista project is relying on financial support from the Federal Government Commissioner for Culture and the Media, from the German Federal Cultural Foundation, and from the German Foreign Office. 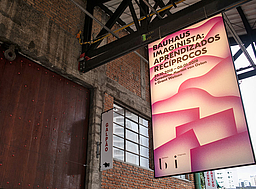 The exhibition bauhaus imaginista is organized in collaboration with the China Design Museum, Hangzhou; the Independent Administrative Institution of the National Museum of Art / The National Museum of Modern Art Kyoto; and Garage Museum of Contemporary Art, Moscow. International partners include Goethe-Institut in China, New Delhi, Lagos, Moscow, New York, Rabat, São Paulo, and Tokyo. Aus Presseinformationen. 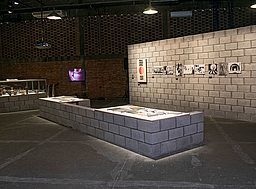 © Foto oben: bauhaus imaginista in Sesc Pompeia. Fotos: Danila Bustamante.